Address: 2500 English Creek Ave.
Work alongside experienced physicians, APNs, Oncology-Certified Nurses and a dedicated Breast Health Coordinator and take advantage of institutional support that includes new, state-of-the-art equipment, technologies and facilities, including our primary service locations at our Cancer Care Institute in Egg Harbor Township and our newest satellite cancer center in Cape May Courthouse. Advanced consideration will be given to physicians looking to work in an inpatient-only setting. 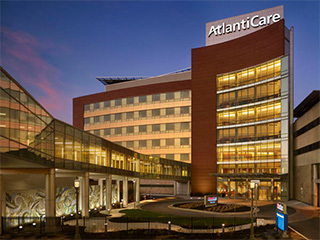 Today AtlantiCare employs more than 5,000 staff members and has 1000 credentialed physicians, across 110 locations serving Southeastern New Jersey including all of Atlantic, Cape May and Southern Ocean counties and parts of Burlington and Camden counties. AtlantiCare continues to expand with exciting career opportunities for dedicated physicians and advanced practice professionals like you. We are an organization that encourages contribution and collaboration. We engage with our communities, and are early adopters of advanced medical best practices that benefit the communities and patients we serve. We recently established AtlantiCare Health Solutions, Inc., an accountable care organization (ACO) collaborative, with community physicians and payer partners. This is one significant step to reduce the overall cost of healthcare by creating an efficient means to deliver care through an organized network of providers. Most important, we are collaborative partners working at the forefront of a national movement to change how we deliver healthcare to our patients to achieve the best possible outcomes — and we want you to be an integral part of it. Let us take you well into the future. We make a difference in health and healing, one person at a time, through caring and trusting relationships. Integrity. Our behaviors consistently reflect the highest ethical standards. Respect. We treat each individual with kindness, dignity and compassion. Service. Excellence in every interaction. Teamwork. We work together to achieve our goals. Safety. Safety is our top priority.